I can’t say enough about the extraordinary work proprietor Bernard Magrez, assisted by the internationally renowned Michel Rolland, is doing at Pape-Clement. From this outstanding terroir, he comes close to rivaling what both Haut-Brion and La Mission-Haut-Brion are accomplishing a few miles away. Following the prodigious 2005 Pape-Clement, it would be hard to believe the next vintage could nearly match its predecessor. However, that is what has happened at this estate with both white and red, by the way. This is very tight on the nose: blackberry, touch of cassis, blueberry, raspberry and violets. 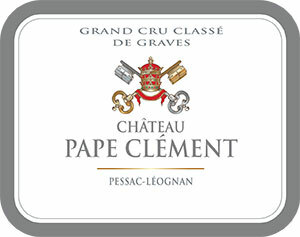 This Pape-Clement has- Margaux-like floral scent with a hint of dried orange peel. Very good weight on the palate, firm robust tannins but very well balanced with a mineral quality coming through on the second half. Fine definition, burly and assertive - this could be a great Pape-Clement. Good grip on the finish. Tasted February 2008.